Fireworks and Champagne go hand in hand, at least in my world. A toast of bubbly puts a smile on my face while watching the sky explode with colors. The only thing better is being surrounded by people I love while sipping and gazing above. Aside from the fun and festivity that goes with Champagne is the wallet. The misconception of Champagne is that you have to pay more than your budget allows to buy a bottle or two. But that’s not true at all. 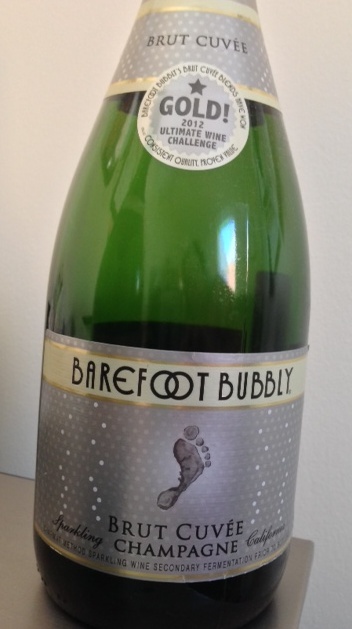 You can get affordable and tasty bubbly, and Barefoot Bubbly is the perfect example. For $9.99 a bottle you can get a Brut Cuvee California Champagne or a bottle of Extra Dry. Both are delicious, with notes of crisp fruity apple and lemon and kiwi. The best part is the pairings: brie cheese, roasted, salted nuts, gazpacho soup, oysters, pizza, dessert – it all works well with a bottle of bubbly. Check out more possibilities at www.BarefootWine.com or Facebook.com/BarefootWine.